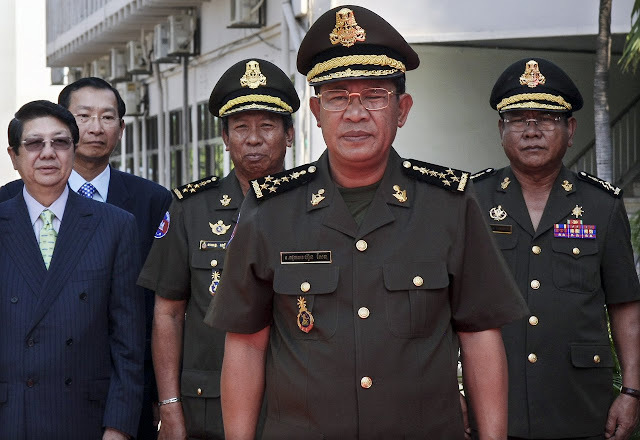 A total of 23 people were arrested on January 2 and 3 of 2014 for taking part in a January 2 protest in front of Yakjin (Cambodia) Inc in Phnom Penh’s Por Sen Chey district and a protest on Veng Sreng Boulevard the next day, at which military officials shot at least five dead. All were found guilty of charges including intentional violence with damage. A hearing will be held at the Court of Appeal on August 11 for 21 of those convicted, said Vorn Pov, a defendant and president of Independent Democracy of Informal Economy Association. “The lower court sentenced me to four and a half years in prison and a fine of $2,000 [in May of 2014],” Pov said yesterday.